Antibiotice has climbed this year also on the podium of the Top National Companies Gala, 22nd Edition, held on Thursday, November 5, 2015 in Bucharest. In the presence of the best Romanian companies, Antibiotice received the Diploma and the “National Award” trophy, First Prize at the category “Industry – very large companies – manufacture of basic pharmaceutical products”. Recognized as a true barometer in the business environment, the Top National Companies, made by the Chamber of Commerce and Industry of Romania is the result of applying a uniform methodology based on the indicators obtained by the member companies in the financial year 2014: net turnover, operating profit, efficiency of using the human resources and the employed capital. 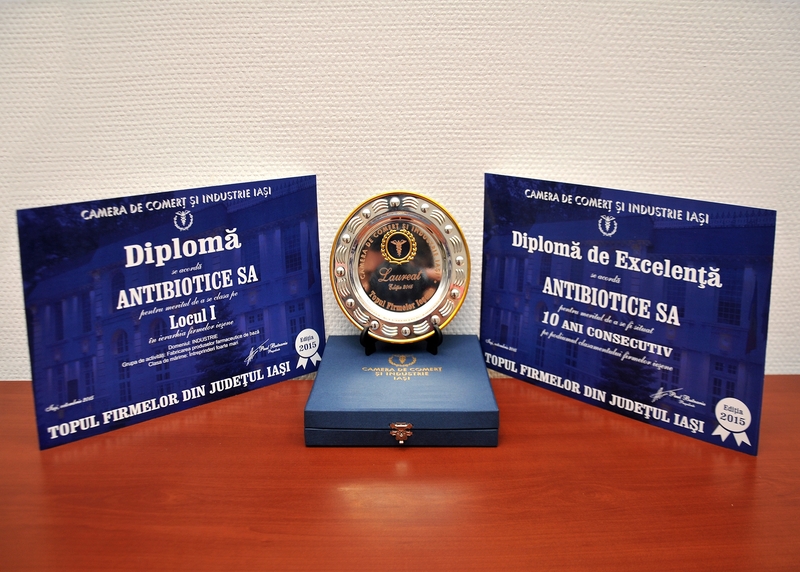 Locally, within the Top of Iasi Companies made by the Chamber of Commerce and Industry Iași, Antibiotice ranked first and received the Excellence Diploma for its constant presence in the past 10 years in this position, at the same category, in the hierarchy of the companies from Iasi. “We are honoured to receive these awards, especially in a very important moment in the life of our company: the 60th anniversary of Antibiotice factory, 60 years of continuity and performance. 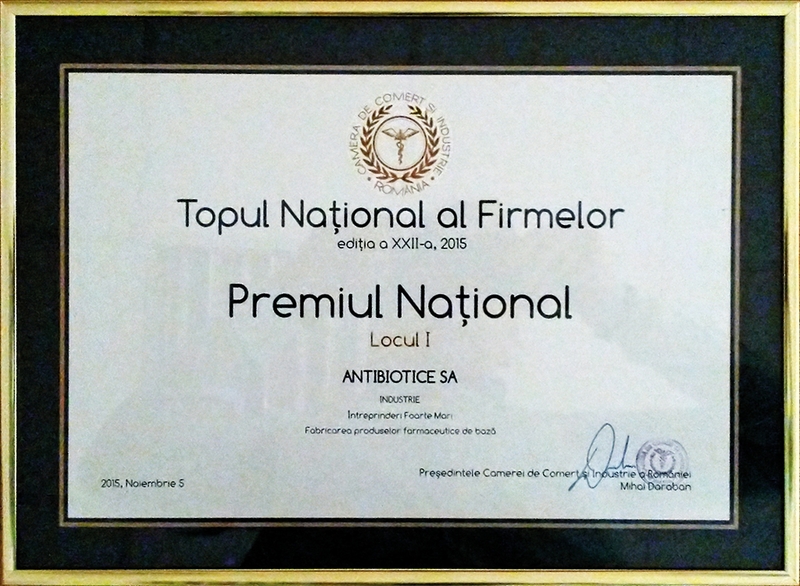 Behold the new age perspectives, Antibiotice is awarded for excellence in business, for its performance of becoming the leading Romanian producer of generic drugs and, I think that most importantly, for the health we brought to millions of people around the world “declared Ioan Nani, Antibiotice CEO.